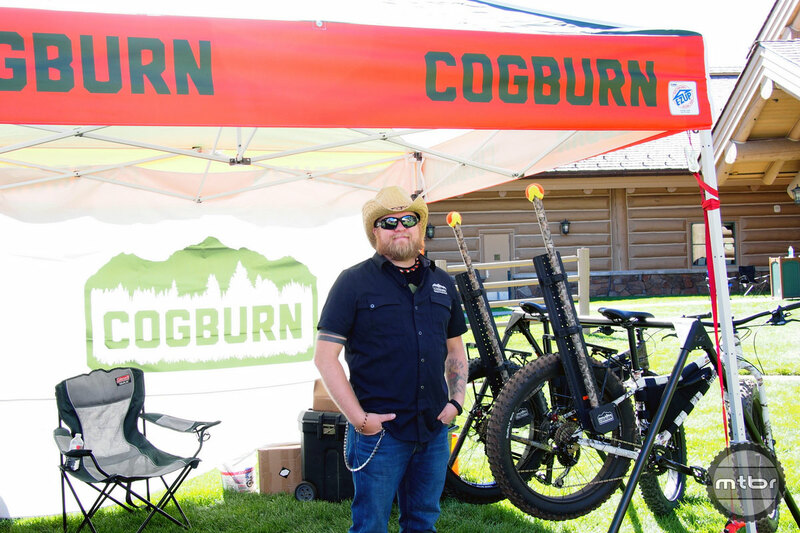 Sure it’s not for everyone but the Cogburn crew believes there is a market here for active lifestyle people who like to hunt and fish. Fat bikes allow access to deep parts of the woods and can venture where non-motorized vehicles are allowed. 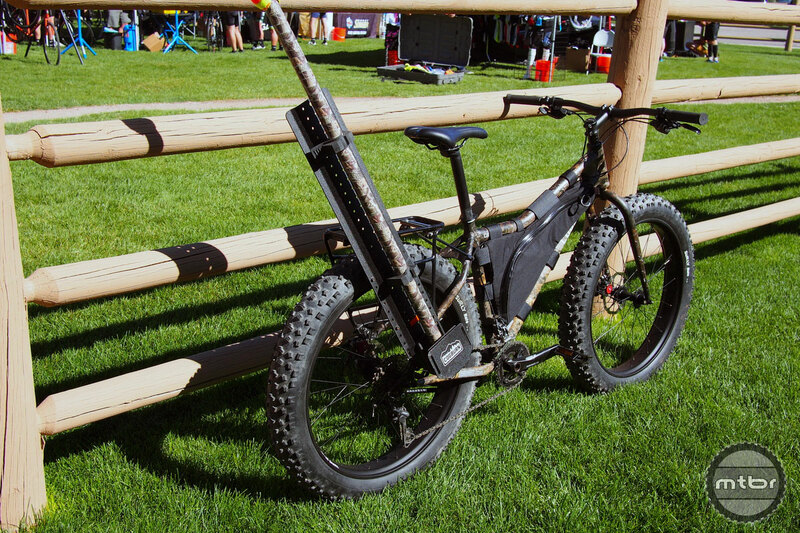 The idea is to get deep in the woods or beaches with the fat bike and set up base camp from there. 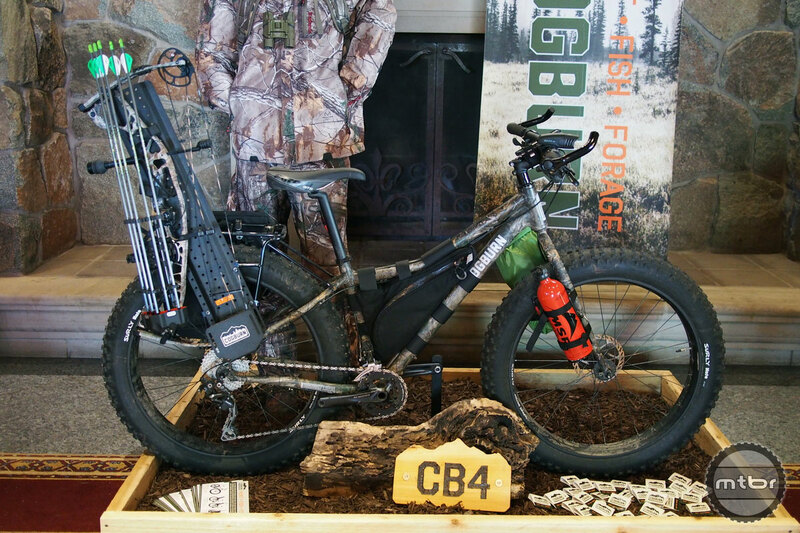 The bike is called the CB4 and it has a rack, big tires, and a camouflage frame. 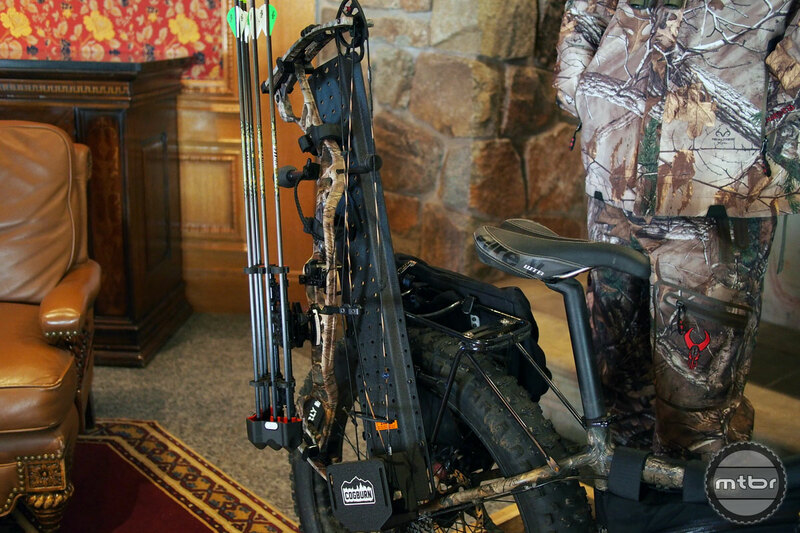 The Cogburn bike is an alternative to an ATV, as there is a movement of a younger demographic of hunters that may find a non-motorized option attractive. 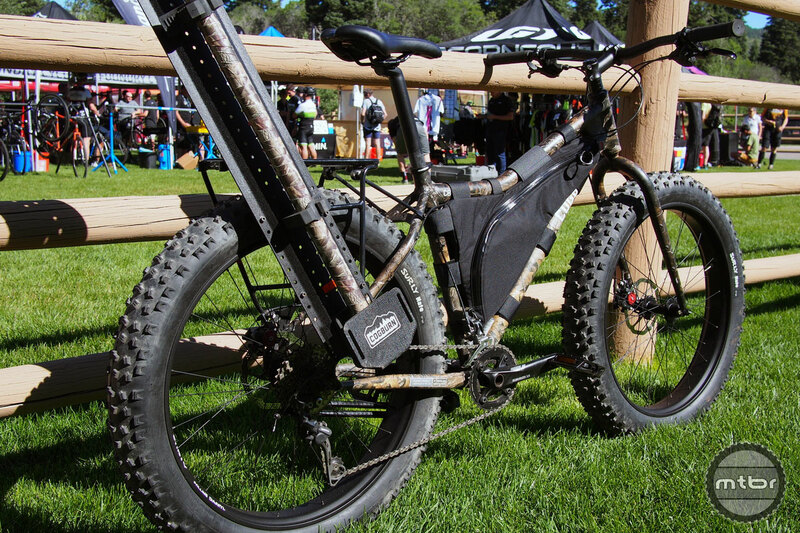 The Cogburn has an aluminum frame, disc brakes and gears, and a rack. 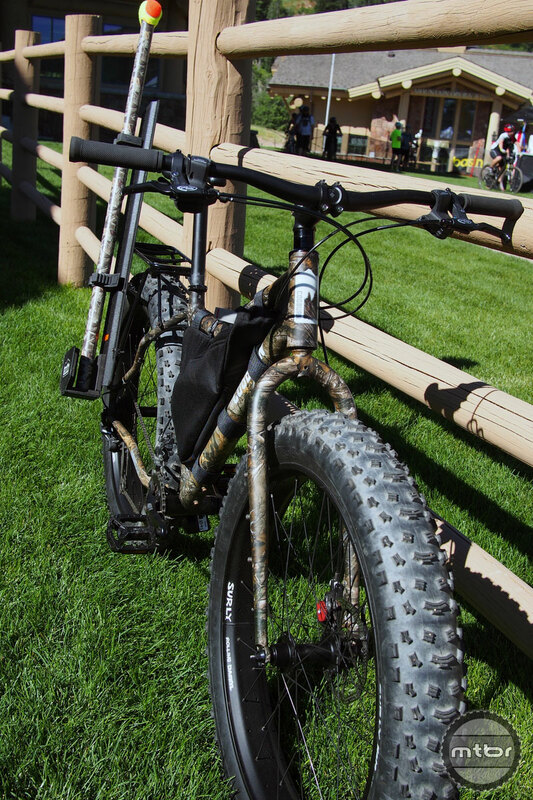 The tires are 3.8-inchers from Surly. The rims, handlebar, and cranks are a no-glare black to blend in with the surroundings. 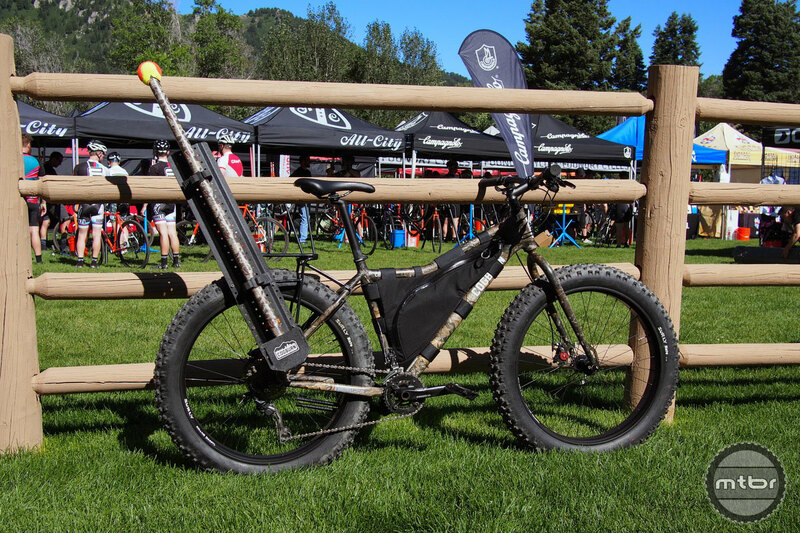 MSRP is $2,199 and the rack is optional at $130 and a frame bag for $130 as well. 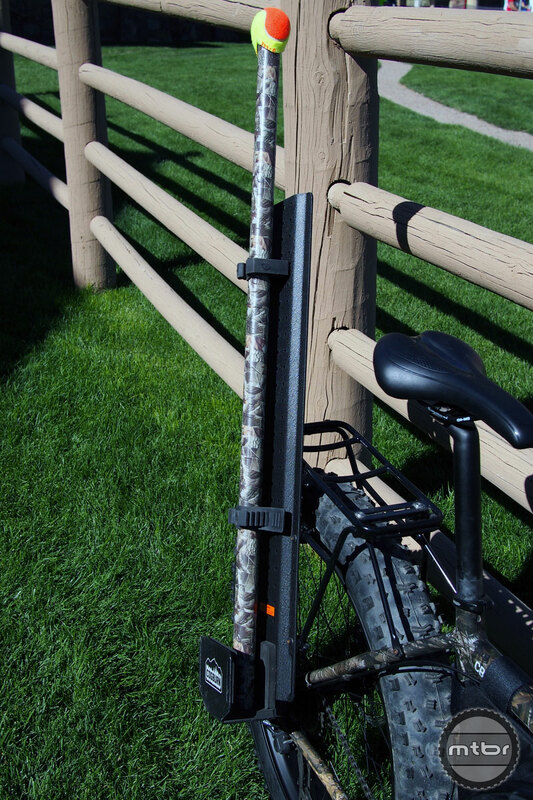 The optional $130 rack is designed to carry bows, guns and fishing poles. It blocks the leg from swinging over the rear, so a low front triangle is used for getting on the bike easily. Big, 3.8-inch tires are used for good flotation over sand and ungroomed terrain. 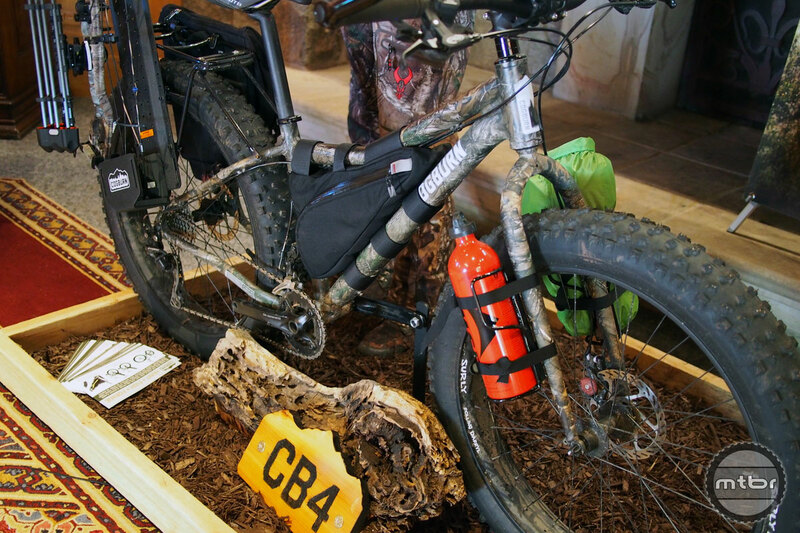 The product manager, Bobby Dahlberg is a QBP veteran who’s been tuning and rigging his bikes for years for the the Minnesota hunting season. He is pumped to have the opportunity to serve this market. For more information visit www.cogburnoutdoors.com. Can you on this bike outrun a chasing bear??? no…but you can outrun someone riding a substandard bike also known as bear-bait. Where do you buy the rack for the back and where do you buy the gear carrier?